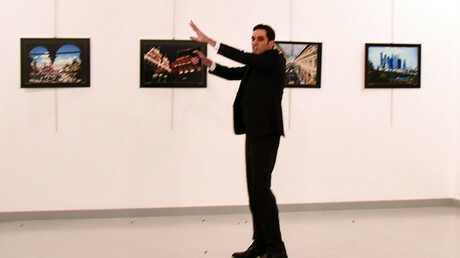 The fatal attack on Russia's ambassador to Turkey, who was killed by a gunman on Monday, is "clearly a provocative act" aimed at undermining both Russian-Turkish relations and the settling of the Syrian crisis, Russian President Vladimir Putin said. "This murder is clearly a provocation aimed at undermining the improvement and normalization of Russian-Turkish relations, as well as undermining the peace process in Syria promoted by Russia, Turkey, Iran and other countries interested in settling the conflict in Syria," Putin said in a statement on Monday evening. The "only response" to the attack that Moscow "should offer" is "stepping up the fight against terrorism," the president added. "The killers will feel it," Putin said. Saying that ambassador Andrey Karlov "was a brilliant diplomat, widely respected in the country where he was posted," the president added that Karlov "was in good standing with both the government of Turkey and other political groups in that country." 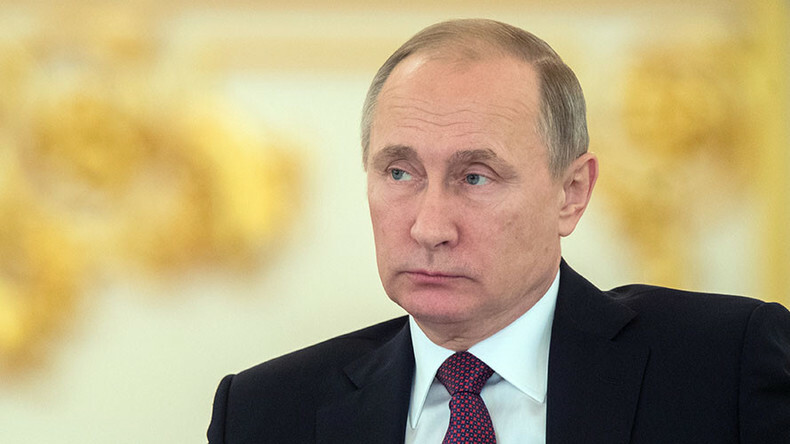 Russia's Investigative Committee has already launched an investigation into the murder, Putin said in his statement, adding that he had held a phone conversation with his Turkish counterpart, President Recep Tayyip Erdogan, on the matter. Russian and Turkish officials will cooperate, Putin added. "We have to know who organized this killing and gave orders to the assassin," the Russian leader said. Putin also ordered security to be strengthened at Russia's diplomatic missions abroad, as well as Turkish missions in Russia. Saying that he knew Karlov personally, and calling him a "kind man," the president tasked officials with awarding the assassinated ambassador posthumously and initiating a memorial for him. "He was killed while performing his duties," Putin said. Meanwhile, Erdogan also branded the shooting of Russia’s ambassador in Ankara an incitement aimed at destroying bilateral ties. The Turkish leader "strongly" and "vehemently" condemned Karlov's assassination. The Turkish leader also confirmed the identity of the attacker as 22-year-old Turkish riot police officer Mevlut Mert Altintas. Erdogan also added that a joint commission with Russia would be established to investigate the murder. "All the security measures around the Russian embassy and consulate general have been tightened as we agreed with Mr. Putin," Erdogan noted. "Our relations with Russia are significant … I am calling on those who aim to destroy our relations: You are waiting in vain. You will never reach your goals,” Anadolu reported.